These Kubricks are pretty cool! I don't have any myself, but they certainly look like some of the best modern Droids items available today. 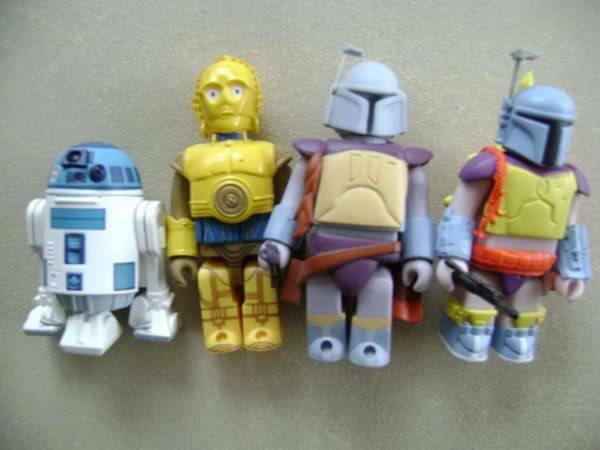 Its a shame we cant see Hasbro repaints like this (other than Boba) - those upcoming CW 2-packs with 2 figures and a DVD would be the perfect place to release the repainted droids and a DVD of the first Droids cartoon episodes.